The MWM Guide to Derby - September 2017. 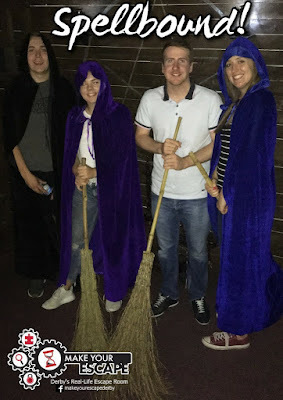 New to Derby or just want to see what kind of things it has to offer? Check out some of these ideas I've put together. The Intu Centre in Derby started life back in 1975 as The Eagle Centre, a large indoor market which underwent a huge £340 million extension around 10 years ago by Westfield. In 2014 Intu bought the shopping centre and was rebranded to what it is today. Intu Derby consists of many High Street Shops such as HMV, Topshop and Marks & Spencer, the ‘Eat Central’ food court where you’ll find the likes of Wagamama, TGI Friday’s and Yo! Sushi and Showcase Cinema De Lux. Sadler Gate: Since the opening of the Westfield / Intu, Sadler Gate saw a significant decrease in customer numbers. In recent years, the council has really invested in reviving the area and is certainly paying off. It’s great to see Sadler Gate once again filled with people especially when it’s known for being home to so many independent shops and businesses. Support local! Hollywood Bowl & Paradise Golf: A couple of new additions to Intu Derby, Hollywood Bowl and Paradise Adventure Indoor Golf are both fun ways to spend your time in Derby. Make Your Escape: Escape rooms are really taking cities by storm at the moment. There are a few in Derby but I’d definitely recommend Make Your Escape. There are two challenges to choose from with different difficulty levels and get your brain working whilst having fun at the same time. Bounce Revolution: If you’re looking to have fun and keep fit at the same time, head to Bounce Revolution Trampoline Park. Every Saturday, they have a live DJ playing and host toddler mornings too. Trains: Derby Train Station is just on the edge of the city centre and can either be walked in around 15/20 minutes or there’s a bus which can take you into the Bus Station (see below). Bus: Derby Bus Station is very central and can pretty much get you all over to places such as East Midlands Airport, Nottingham, Leicester, Buxton and all of the local towns and villages too. Intu Derby: There are 3 carparks at the Intu shopping centre. The Basement, Riverside and the main car park which is located on the roof. Riverside is open 24/7 and parking only costs £2 after 6pm throughout. Bold Lane: A multi-story car park perched between Sadler & Friar Gate. Not the cheapest option but is the place to go for security. Bold Lane was once listed as one of the top 10 most secure places in the world. It’s open 24/7 and manned constantly and has nearly 200 CCTV cameras. Babington Lane: One not so many people know about, Babington Lane is a short walk away from the city centre shops and you’re able to park for as long as you like for less than £4. Well worth it. The Cathedral Quarter: A gorgeous Grade II listed former Police Station now converted to a 38 bedroom boutique 4 star hotel in the heart of the city centre so the location is perfect for those wishing to explore. Pentahotel: A little further afield on the outskirts of the centre but conveniently located for Derby Train Station. Based on Pride Park, around here you'll find lots of industrial units occupied by businesses alongside a few pubs and restaurants. Derby Theatre: Formerly known as the Derby Playhouse, Derby Theatre, who currently run in partnership with Derby University, showcase their productions throughout the year including a festive themed show over Christmas. Derby Quad: Enjoy the arts? Relax at Quad by enjoying their cinema (which also shows independent films), workshop, craft shop and exhibition gallery all finished off with refreshments in their cafe bar. Pride Park Stadium: If you're a football fan, you can always head over to Pride Park Stadium, the home ground of Derby County Football Club. Here you can enjoy not only a football match but also stadium tours and functions. Derby Arena: Just around the corner from the stadium is the Derby Arena. It opened in 2015 and is a hub for indoor sports, especially track cycling in the Velodrome. You can also catch concerts and comedians performing too. Oliver's: The perfect city centre bistro-cafe has to be Oliver's. It's a caffeine lovers haven. You'll be made to feel right at home with a friendly welcome in relaxed surroundings to refuel and be ready to face the hustle and bustle again. Doughnotts: Originally starting in Nottingham, the Doughnotts team were in a position to open a second shop choosing Derby as their latest location. Doughnotts sell thousands of their freshly made funky doughnuts on a weekly basis and show no sign of slowing down. You can grab flavours such as Red Velvet, Snickers and Death by Chocolate alongside a tasty 200 degrees coffee. Today is the day! @doughnotts_official launch their second shop in Derby on Sadler Gate 🎉🍩 Doors open at 9am 🕘 I had an amazing time at the preview night yesterday. Wade & Megan are so passionate about what they do. Be sure to support local! Revolucion De Cuba: If you're one for fabulously fruity cocktails, you definitely need to stop here on your night out. Their Caribbean themed drinks pack a punch but don't worry, although Rum dominates the menu, there are still plenty of other options available. Happy hour runs 5-7pm! Rowley's Gin Bar & Wine Cellar: One of the biggest trends in food and drink this year has got to be Gin. Rowley's, located the the Cathedral Quarter stock and serve over 50 different types of Gin from all over the globe in their historic 200 year old cellar. Suds & Soda: One of the newer additions to Derby's Friar Gate area, Suds & Soda is a craft beer shop by day and tasting room by night with quirky interiors to enjoy a choice of 200+ bottled beers. If you're after restaurants, be sure to check out all of my City Centre reviews by clicking here. 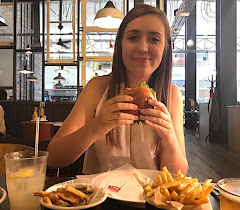 Happy #NationalBurgerDay 🍔 In celebration of today's special occasion, I'm sharing thoughts on my trip to @byronhamburgers @intuderby earlier this week over on the blog. Visit today and you bag 20% off your bill! Thanks for taking a look through. What's your favourite thing to do in Derby? Let me know in the comments below!